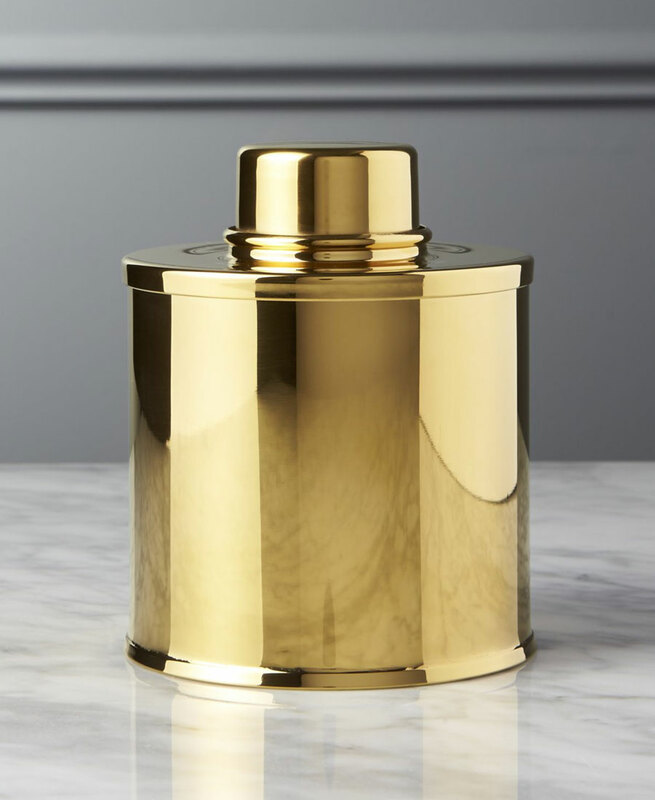 A showstopper, this gold tea tin is made of shiny gold stainless steel. Get a few for all your different loose leaf teas to line the shelves for even more visual impact. Get the matching gold scoop and gold tea infuser to make it a set. The five main things to remember to keep tea properly are to avoid moisture, heat, odor, air, and light. Since tea is dry, any type of moisture can ruin it which is why it’s best to store tea in an airtight container. Keep tea away from heat which can degrade your tea. Don’t keep your tea near a window or a stove. It’s best when kept at room temperature. Tea and absorb odor easily from the air around it so store it away from anything with too strong of a smell like spices or coffee. You’ll notice some tea sellers will vacuum seal the tea bags and that’s to keep out any air which will give tea a longer shelf life. Take the air out of zip bags first before sealing it to take out as much air as possible. Keep tea away from light since it can deteriorate your tea. This is why it’s not recommended to store tea in glass jars unless it’s kept in a dark place. 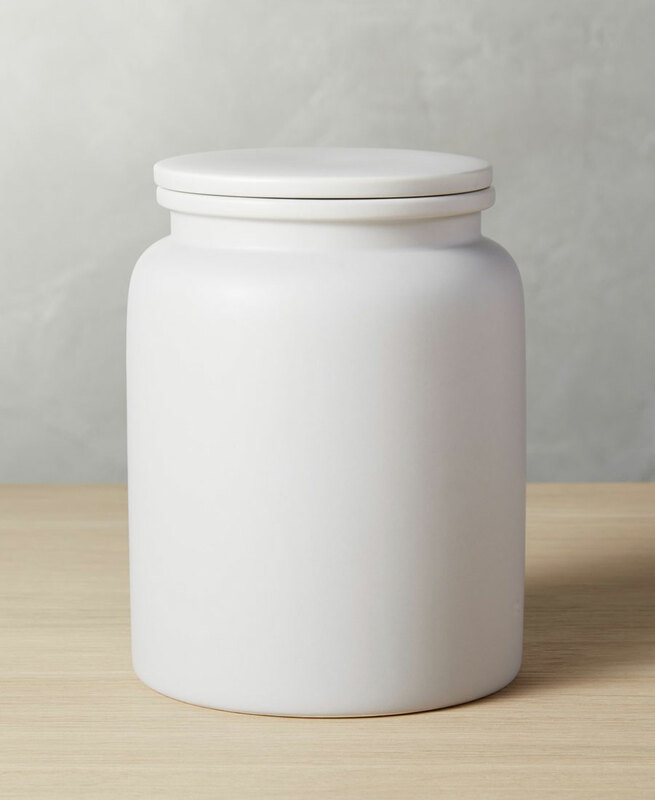 I love the minimal look of this light grey canister with an airtight silicone gasket lid. I buy mostly loose tea which come by the ounce in zip kraft bags and I have a ton of those semi-organized in one big basket. I can get a few of these and sort out the bags and put all tea types into each container. 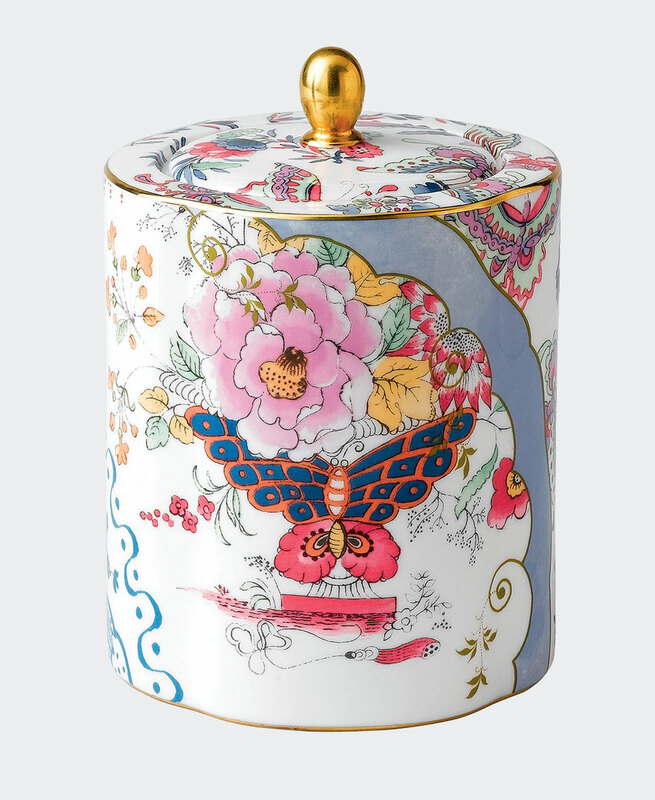 The ultimate tea canister, the best of the best. Made exclusively for tea by a family in Japan since 1875. 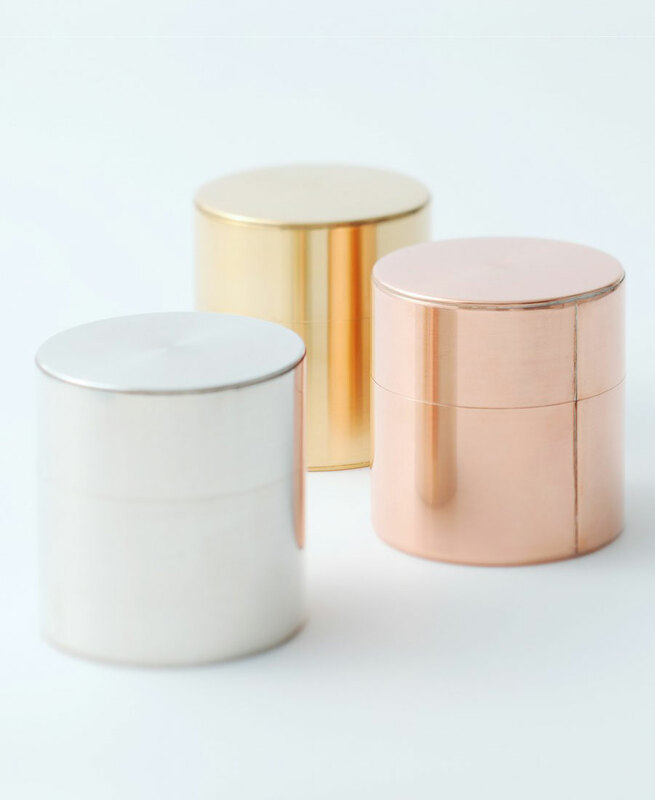 The Kaikado tea canisters change color as they age and are made of copper, brass, and tin. Purchase tea in small quantities to ensure freshness. White tea and green tea don’t have as long as a shelf life than oolong tea and black tea since they are less oxidized. Don’t store tea in plastic containers unless you’re using the same one to store the same tea each time since the plastic absorbs and release odors. It’s a good idea to write down the date of the tea purchase on the package so you’ll never have to guess if it’s old or really, really really old. If your tea comes in a paper bag, store it in a proper airtight container. 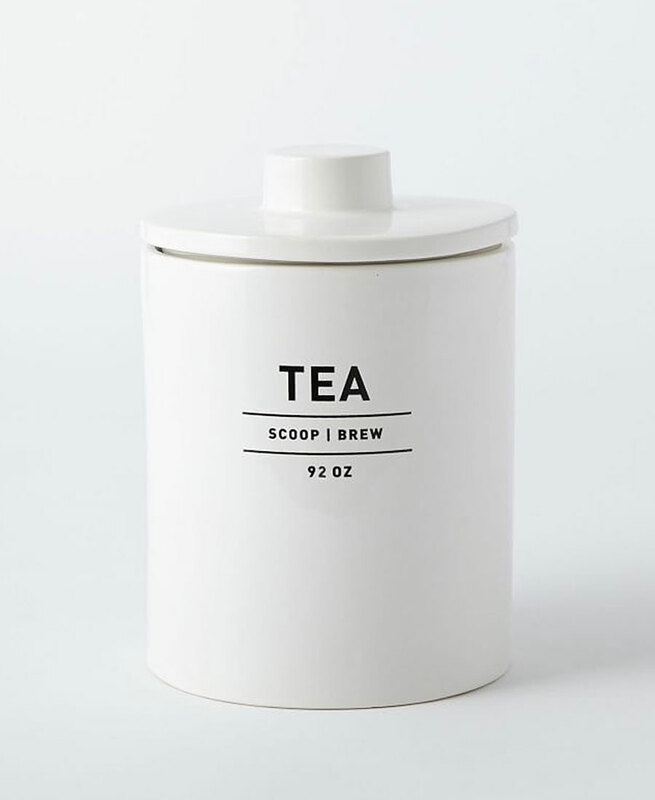 Label your tea canisters so you don’t have to open it up each time to see what’s inside. 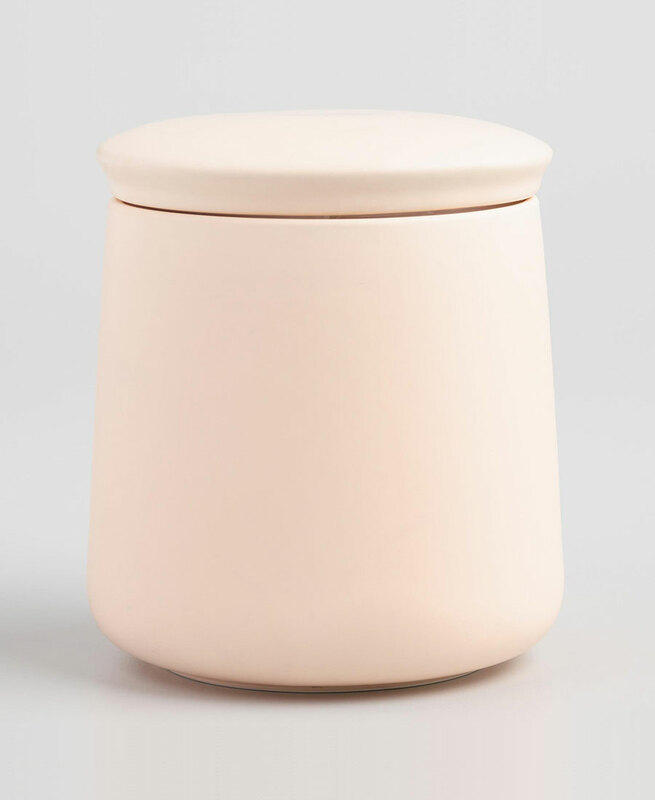 A ceramic canister in a matte blush pink finish. Keeps things airtight with a gasket lid. I really like the sleek, modern look of these and it’s a pretty way to store your teas. This stoneware tea canister is a part of a matching set of kitchen containers. Get a few of these to neatly store your zip bags of tea in one place. White tea, green tea, and herbals will last about a year if stored properly. 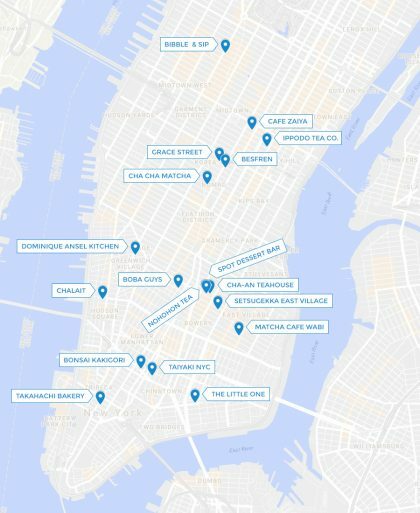 Dark teas like oolong and black tea will last up to two years. Puerh tea is the exception to the rule since it’s meant to be aged and can be store indefinitely. If you want to have a complete matching tea set, Wedgwood makes pretty ones that include a tea caddy (although not airtight), 2-tier cake stand, plates, tea cups and saucers, and teapot. 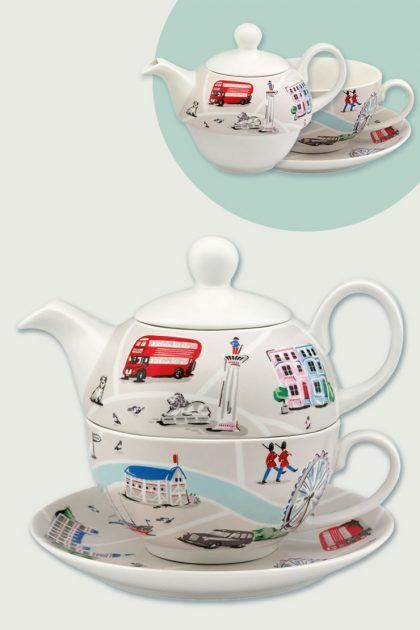 A perfect set for when you want to serve afternoon tea at home. Photo Credit: from linked sources.